The Snowman Trek goes to the remote Lunana district and is considered to be one of the most difficult treks in Bhutan. Crossing dozens of high passes, many over 16,000 ft, this tough trek includes challenges of long distances, altitude, difficult weather conditions and remoteness. Traverse beautiful landscapes from lush valleys and dense forests to high mountain passes. The flight to Paro is one of the most spectacular mountain flights in the world, with a constantly changing panorama of some of the highest mountains on earth. After passing through customs, enjoy some lunch before afternoon sightseeing around Paro, including a visit to the Ta Dzong Museum housing many religious relics, works of art and handicrafts. Next, visit the Rimpong Dzong. Dzong’s are large monasteries and district administrative centres, which were once strategic forts. Overnight at your hotel in Paro. Enjoy a full day of sightseeing, including a visit to the National Memorial Chorten, 12th century Changangkha Temple, the Zilukha Nunnery and Tashichhodzong. If your visit to Thimphu coincides with the weekend, you can walk through the Thimphu Market. Overnight at your hotel in Thimphu. Punakha was the ancient capital of Bhutan. Visit spectacular Punakha Dzong, built in 1637 by the Shabdrung, the ‘Unifier of Bhutan’. After lunch, enjoy a walk to Chimi Lhakhang, temple of Drukpa Kuenly. Overnight at your hotel in Punakha. The trek starts by the riverside, following a well marked path through subtropical forest. There are many wild orchids growing in this rather damp area, but be on the lookout for leeches also! Today’s walk is fairly gentle climb up to Damji village (2,400), where we camp for the night. The path continues on through subtropical forested area and villages up to Gasa Tshachu (hot spring). The Tshachu is famous for its curative powers, and people come from all over the country to bathe here. After lunch near the spring, we have a climb up to Gasa Dzong (2,900m) where we camp overnight. After breakfast, we visit the Gasa Dzong. Today’s trek begins with a steep climb up to Bele-La Pass (3,700m) through mixed forests. We then descend for about to our forest camp at chamsa (3,650m). Today’s Trek is one of the highlights of the Trip. The day starts with a short climb up to Tshorim Lake. We walk around the side of the lake, enjoying a panoramic view of the Gophula Ranges. The final stretch up to Gophu-La Pass (5,230m) is very short. After crossing the pass, we descend to the base camp, walking along the ridge and enjoying a great view of Gangkar Puensum. Climb up a pyramid shaped peak for a better view or you can go directly to the base camp (4,970m) near the Sha Chu. Today’s trail follows along the Sha Chu and descends to Geshe Woma (4,200m) where we camp. A short half hour climb take us up to Juli-La (4,400m) before descending to the riverside through dense rhododendron, Juniper and conifer forests. We then cross a bridge and after a short climb reach Dhur Tshachu hot spring, where legend has it that Guru Padmasambhava bathed in the 8th century. 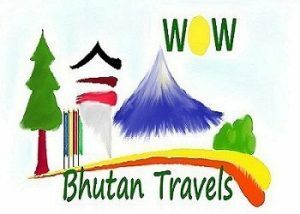 Bumthang is the spiritual and cultural heartland of Bhutan. Spend the day exploring the some of Bumthang’s sacred sights including Kurje Lhakhang, home to a rock featuring the imprint of Guru Rimpoche’s body, Jambay Lhakhang (7th century) and Jakar Dzong. Also visit Tamshing Monastery housing some of the oldest wall paintings in Bhutan. Overnight at your guesthouse in Bumthang. The journey to Trongsa takes approximately 3 hours. Trongsa is the ancestral home of Bhutan’s ruling dynasty. After lunch on arrival, visit Trongsa Dzong, a masterpiece of Bhutanese architecture. Trongsa is the largest Dzong in Bhutan and the location of where the institution of monarchy in Bhutan began. Also visit the Ta Dzong located on the hill overlooking the Dzong. Overnight at your hotel in Trongsa. After breakfast, depart for Paro. On arrival, enjoy a stroll through the Paro township. Overnight at your hotel in Paro.